I've probably said so before somewhere on this blog but here it is again: I am not a morning person. Unless there's some reason (usually catching a flight or heading out to a running event), you won't find me out of bed before 8am. Turns out there's one more thing to add to this list and that's lining up for a 'golden' ticket to try Tsuta, a Michelin-starred ramen restaurant in Japan. After our alarms went off and a quick 15 minutes of prep time from bed to out the door, we made a beeline for Sugamo station (JR Yamanote line) and briskly walked the 250m from the station to Tsuta. We arrived at 8am on a weekday; there were no queues and plenty of tickets left for the one hour sitting times between 11am-4pm. Don't forget the 1000 yen cash deposit per ticket (refundable, given back later on during lunch). Huzzah, tickets for the 1pm time slot in our possession, and we had a solid block of hours to kill before lunchtime. But first, coffee. We headed back at about 12.30pm and were greeted with an actual queue of around 15 people. The turn around time from ordering to receiving the food was quite short but with only nine seats available, it's understandable that not everyone designated to a particular time slot will finish up within the hour. We were seated at 1.45pm which wasn't too bad of a wait compared to other things we had lined up for during our time in Japan. 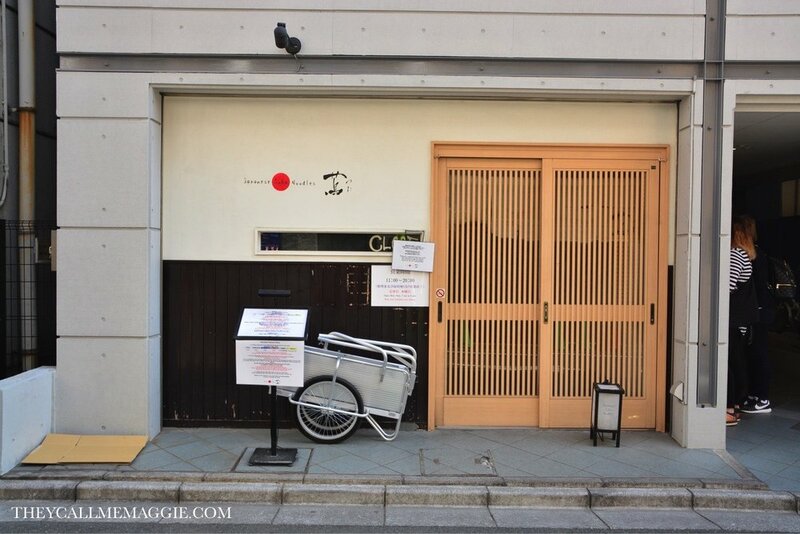 Like plenty of other ramen eateries in Japan, orders were made through a vending machine (bring cash). There's an English menu affixed to the wall near the front of the queue that visitors are able to peruse whilst waiting, and the staff are more than happy to help with ordering. Onto the ramen. 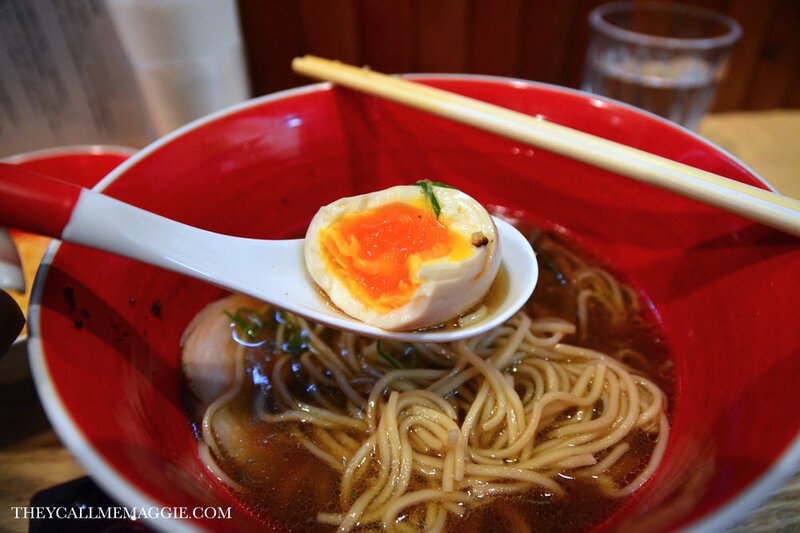 The ramen broth comes in two varieties; shoyu (soy sauce) based soup with black truffle flavour, and shio (salt) based soup with white truffle flavour. Truffle. It certainly isn't an ingredient typically encountered with ramen but given my appreciation of all things truffle, the menu had me salivating from the get go. That, along with all the hype and Michelin starred status. The mister and I ordered one of each soup base, and sides of TKG rice with fresh egg, red wine sauce and black truffle oil and NikuMeshi rice with diced roasted pork, fried garlic and red wine sauce. So the verdict? There were distinct differences between the two soup bases but both were utterly delicious. Both broths were beautifully rounded in their umami flavour without being overly salty or overwhelming, and the truffle presences imparted a unique and memorable fragrant and earthy aroma that cemented the epic deliciousness that is Tsuta's ramen. It goes without saying that the star of the show was the broth, but it wouldn't be a complete dish without the noodles (with the perfect amount of chewiness), perfectly-cooked oozy egg and other accompaniments which included silky wontons and tender braised pork. 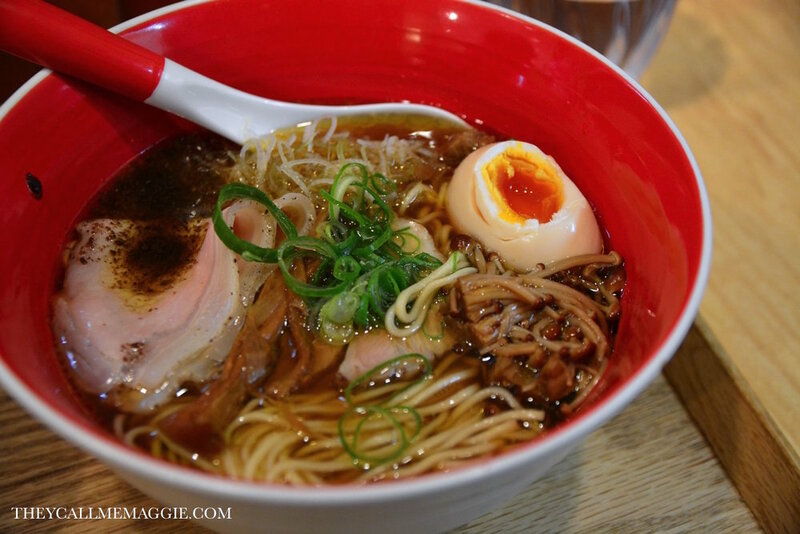 The rice sides were also flavoursome and tasty (you can't go wrong with roast pork or truffle and egg), but if you're a small eater, you're better off sticking to just the ramen and downing every last drop! I obviously loved it. The mister also loved it... which really says it all because A. we had to wake up super early for this. B. there was queueing involved. And C. anything more than 'it was ok' is very hard to get out of him when it comes to food. 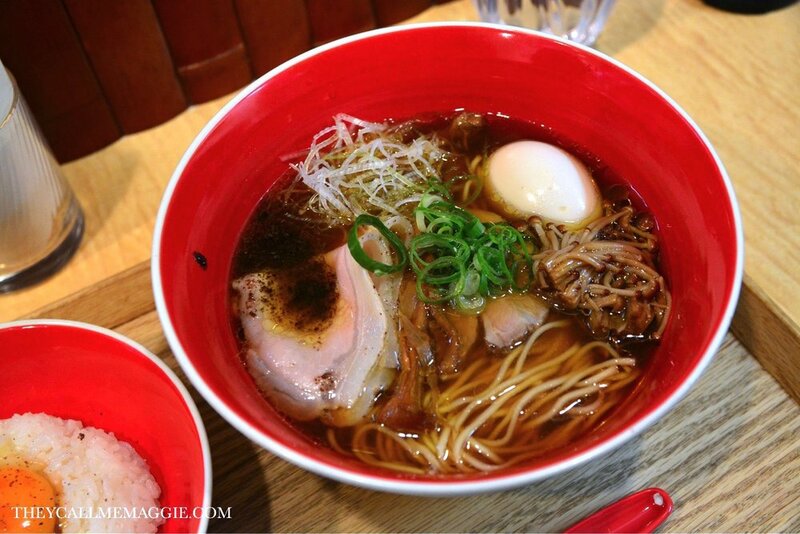 A must visit for anyone who loves ramen or food in general. 1-141-1 Sugamo, Toshima 170-0002, Tokyo Prefecture, Japan.